How often do you purchase a CD and love it in its entirety? If you love jazz or just good music, buy this CD and experience that rare feeling. Night Sessions is a soon to be classic album. This is jazz at its finest! The musicianship is incredible! 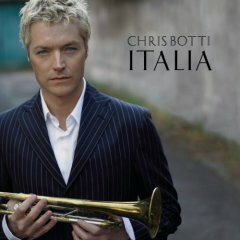 Botti is an excellent trumpet player and each of the musicians featured on this CD are top-notch; Dominic Miller on guitar, Christian McBride, Jeff Lorber, Vinni Colaiuta on drums, Billy Childs on keyboards and Bill Reichenback on trombone all turn in stunning performances. Listen to these unbelievable performances and be transported into a jazz club with its dark atmosphere and wonderful ambience. Night Sessions will be propelled onto the radio and up the charts because of one song. "All Would Envy" was written by Sting and is sung by Shawn Colvin. The song is pure genius. It has a Brazilian flavor and is beautifully sung by Colvin. But "All" is not the only fantastic track. Other highlights include: "Miami Overnight," "Streets Ahead," and "Blue Horizon." However, the CDs best and most rockin' and probably most commercial track is "Through an Open Window," with its great fretwork and smooth melody. "Lisa," "Easter Parade" "Streets Ahead" (which features Lorber) and "When I See You" are also strong tracks. See what I mean, every track is excellent. Buy Night Sessions and find your favorite among the twelve gems. Track Listing: Lisa; Miami Overnight; Streets Ahead; Interlude; All Would Envy; Best Time; When I See You; You Move Me; Blue Horizon; Light the Stars; Through an Open Window; Easter Parade; Union. 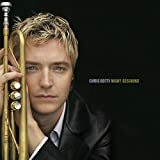 Personnel: Shawn Colvin: vocals; Billy Childs: keyboards; Bill Reichenbach: trombone; Jeff Lorber: keyboards; Chris Botti: trumpet; Ed Cherney: mixing; Vinnie Colaiuta: drums; Luis Conte: percussion, drums; Shane Fontayne: guitar; Lani Groves: vocals; Abraham Laboriel: drums; Kazu Matsui: shakuhachi; Christian McBride: bass; Dominic Miller: guitar; Marc Shulman: guitar; La Camilla: vocals; Heitor Teixeira Pereira: guitar; Jimmy Johnson: bass; Jeff Scott Young: keyboards.